After a regular season that culminated with winning the 2015 SEC Championship, the No. 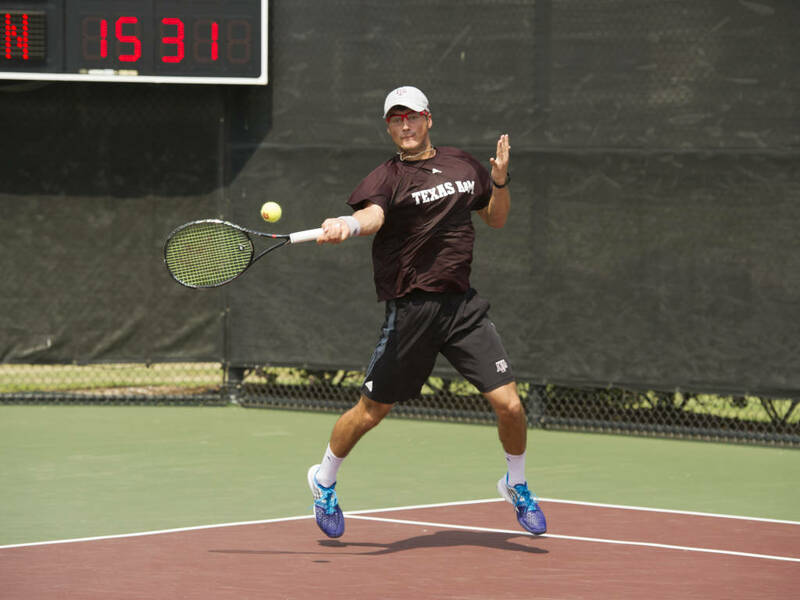 6 ranked Texas A&M Men’s Tennis team is continuing their winning ways in the NCAA Championships. Today, they play their round of 16 matches against No. 11 Ohio State. Instrumental to the Aggies’ success is Pittsburgh native and former Middle States junior player, AJ Catanzariti. Only a freshman, Catanzariti has made a huge impact on Texas A&M’s program. He started off his college campaign with seven straight wins at the ITA All-American Tournament in Tulsa, Okla. last fall. Since then, he went 36-9 overall, 19-4 in duals and 10-1 in SEC play. He was named to the All-SEC Second team and All-Freshman team. For three straight weeks, he was named the SEC Freshman of the Week. He entered the NCAA tournament with a No. 81 national ranking. Read more about Catanzariti’s successful freshman season at Texas A&M by clicking the below articles.